While certain foods are detrimental to your teeth, there are many others that can protect your smile. Many of these may not be the foods you expect. It turns out that healthy dental eating is a lot more delicious than you may have thought. Nevertheless, as with all nutrition, it is important to exercise moderation. Some of the most beneficial foods for your smile may not be good for your overall health if consumed in large amounts. If you struggle to maintain your weight, or if you have a health condition that requires special dietary regulations, it is best to work in collaboration with both your doctor and your dentist to protect your smile and overall health. As it turns out, the following five foods are great for your teeth. Enjoy! 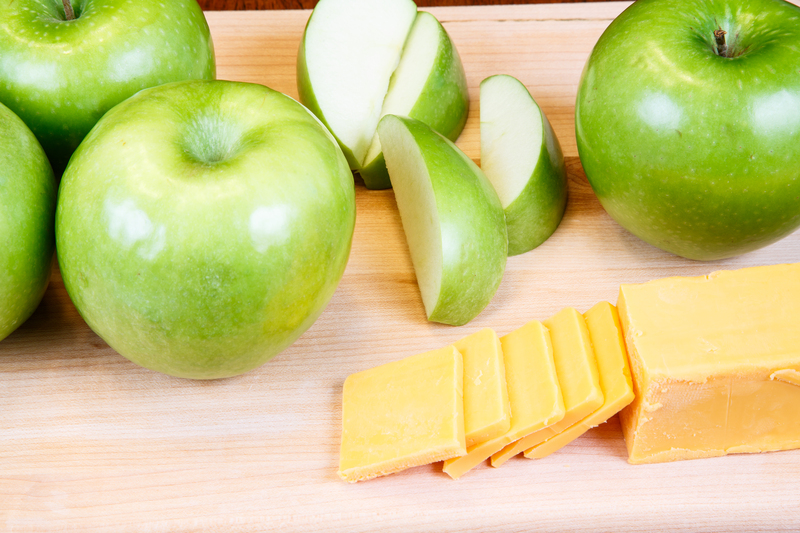 Cheese: Cheese is actually one of the most beneficial foods for your teeth. All dairy products contain calcium and protein, which are important for strengthening teeth and bones. However, cheese can also neutralize acids, the harmful substances that erode dental enamel and lead to cavities. According to a study published in the April/May 2013 issue of General Dentistry, teens who consumed cheese had lower pH levels than those who consumed either milk or sugar-free yogurt. Cranberries: Cranberries contain high levels of polyphenols, which can prevent bacteria from sticking to teeth. However, because cranberries are quite tart, they are often prepared with high levels of sugar. Look for low-sugar ways to prepare and enjoy this fruit. Apples and pears: Apples, pears, and similar fruits are both water-based, so they can help to rinse away harmful bacteria. In addition, their crunchy texture gives them an abrasive effect, and they can help remove plaque and tartar from your teeth. Salmon: Salmon contains high levels of Vitamin D. This important vitamin helps your body to absorb calcium. Eggs: Eggs are high in protein, which will help to strengthen teeth and bones. However, eggs also contain high levels of phosphorous. This element is essential to the formation of dental enamel. Of course, eating a healthy diet is not the only thing you should do to maintain your dental health. Practicing good dental hygiene is essential. Daily brushing, flossing, and biannual dental visits will help prevent the buildup of plaque and bacteria. You should also drink plenty of water during and after meals. It is always best to brush after a meal. Nevertheless, on occasions when this is not possible, chew on a piece of sugar-free gum. This will stimulate saliva and help to remove acid and bits of food from your mouth.